Annual PLU Mega Yard Sale 5/17 in Duxbury MA. ‘Double D’s fight back Against Breast Cancer’ Comedy Show. 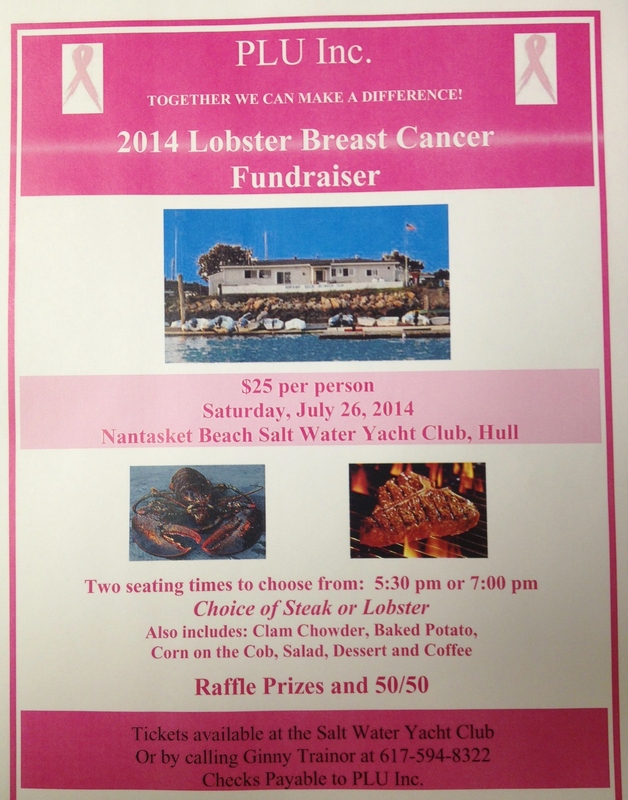 Lobster Breast Cancer Fundraiser sponsored by the Nantasket Beach Saltwater Club. 7/26. ‘Compete for a Cure’ women’s Softball Tournament. 8/2-8/3. Taunton, MA. Contact Ginny Trainor (617-594-8322) for more information on team registration.